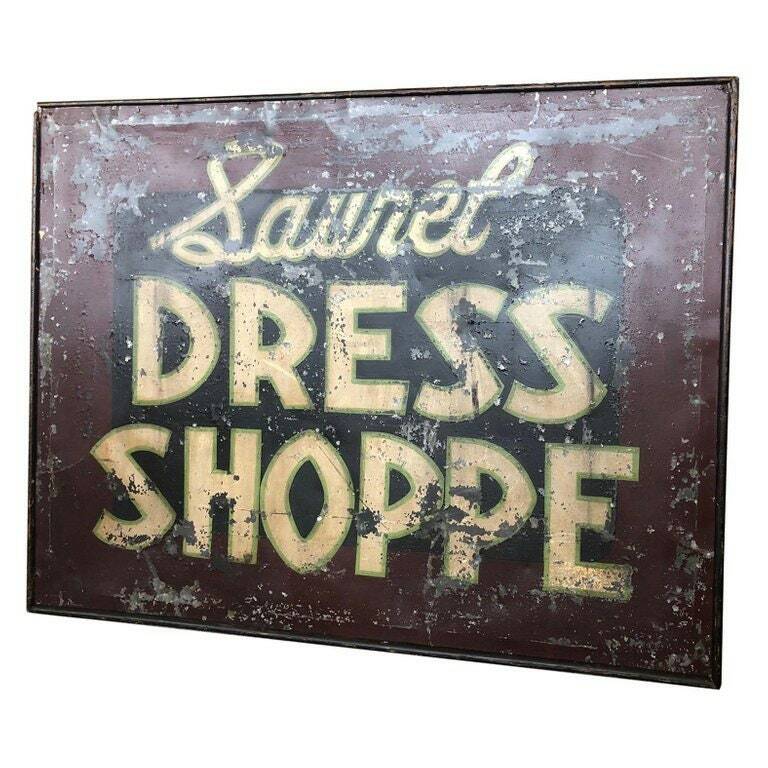 Large, early trade tin sign: "Dress Shoppe." Muted, earth-tone colors with stellar, graphic typography. Worn to perfection. Paint is chipped as noted in photos - and now part of the overall style - but all is very stable at this point. H 36 in. x W 48 in. x D 1 in.